It’s not as easy as it sounds running Facebook Ad Success for Pawn Shops. I’ve been placing ads for clients and ourselves for over three years and at first it was a really frustrating task to get a low CPC (Cost Per Click) that didn’t cost us thousands with little return. Mix that with a low relevancy score and sooner or later you’ll be scratching your head because you haven’t sold a darn thing but dolled out a ton of cash. Now the first thing you need to understand about advertising on Facebook is that there’s a phenomenon called Facebook Scroll. This Facebook Scroll is the action from people who riffle through their news feed. Most of us actually do it. Next time you’re on Facebook pay attention to how you browse your news feed. You need to STOP the scroll and that is the goal of the image you use for your ad. Once you’re able to stop the scroll then instinctively the user reads the copy on top. Facebook really likes native ads, these are ads with no text or copy. There’s a 20% text rule that Facebook would like to see you follow. This means that they don’t want more than 20% text on the ad image you use. Remember use an image that will stop the scroll. Facebook Ad Success for Pawn Shops will help you sell more products and get more customers for your pawn shop. The next key element in a successful Facebook Ad Campaign is the offer. This is the bribe, the amazing discount on what you are selling, the free plus shipping offer. Make it great! Use the butterfly feel. If when you look at the offer you get the butterfly feeling, like WOW this is great, then go with that offer. Too many people make a mistake offering a 20% off or something like that and honestly it might not be moving enough for someone to take action. Especially if you always have 20% off your items. Facebook Ad Success for Pawn Shops biggest issue is thinking that it’s your audience on Facebook. 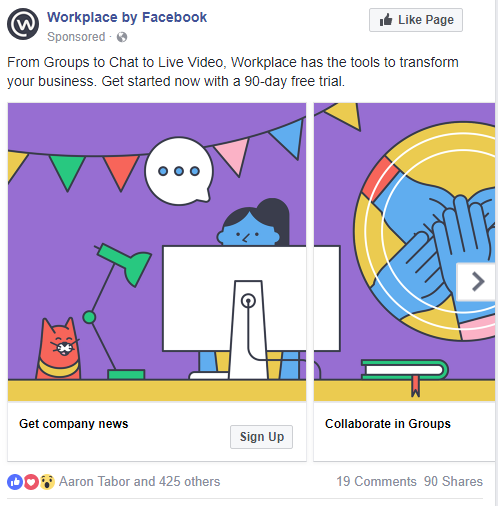 Remember, Facebook owns the audience, they can do whatever they want, change what they want etc. So what you want to do is steal the audience away from Facebook and create your own audience with an email list. This is your audience, you own this audience, you can control this audience and it’s a lot less expensive as well. So make sure you have a strategy in place where you collect a person’s name and email address. This is gold. Ok this is where a lot of pawn shop owners or managers who are running Facebook Ad Campaigns get it wrong. If you are targeting the wrong people then it doesn’t matter how great your offer is, you won’t sell it. Facebook has some amazing targeting options to choose from, sometimes its a little overwhelming. My suggestion for you is to do some research, create an ideal customer avatar and start selling to them only. Once you have some success with that target you can start opening up to a greater audience. Also use Audience Insights from Facebook to see what other pages your target customer has liked or interested in. You will use this information to target when you create your ad in Facebook. This is where you are sending people after they click your ad. I see many pawn shops advertising on Facebook and then when you click thru the ad what you get at the other end is just their home page. It doesn’t even mention the ad or the offer. This is a killer. One of the reason’s I wrote this blog post about Facebook Ad Success for Pawn Shops. Also, make sure your landing page speaks about the offer you advertised. You’ll realize more conversions from your ad. Now there’s one more thing that most don’t speak about for local pawn shops advertising on Facebook. If your offer is spot on, your ad image stops the scroll and your landing page speaks to the offer, then what I suggest you do before all of this is WARM UP your audience. I suggest writing three or more blog posts that relate to your offer, or three or more blog posts that educate or answer some questions that your audience may have about your store or your products. Then you want to advertise those three blog posts to your audience. Maybe spending $20 or more dollars in ad spend per blog post. You will also want to add a tracking pixel to your blog posts. The benefit here is so that when someone clicks on the blog post from Facebook a little piece of code will track that user and Facebook will start creating a custom audience for you to use. For example you could start targeting just the people that have gone to a particular blog post. 🙂 You probably experience this all the time. It’s the weird feeling you get when you think an ad is following you around the internet. This is called retargeting or remarketing. There’s so much more to running effective Facebook Ads but the above will you give you a good base to start and implement the simple things.